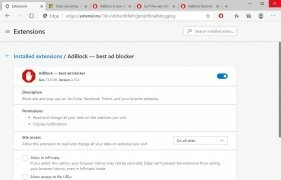 AdBlock Plus is possibly the most popular ad blocker for web browsers. 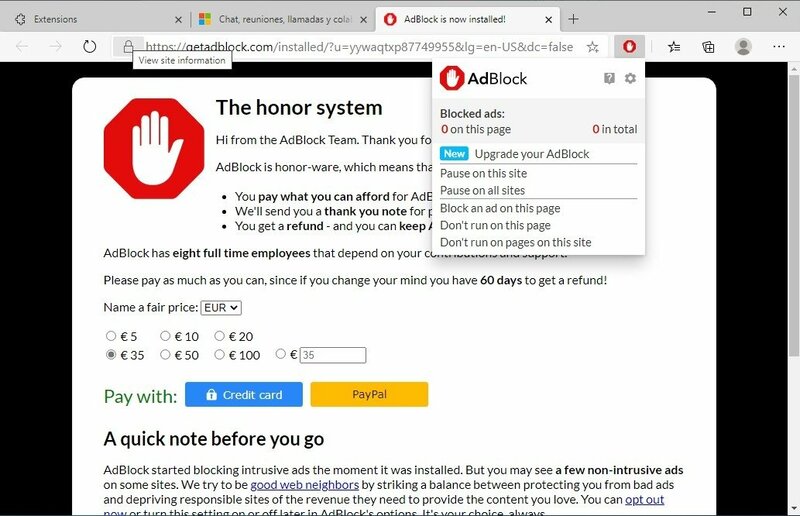 If you've been on the moon over the last few years, you should know that ad blockers basically avoid intrusive adverts from smothering your screen while browsing the Internet, which is a rather common practice among pages without principles that display banners all over the place. 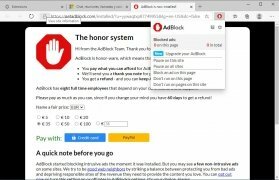 The number 1 blocker with over 200 million downloads. 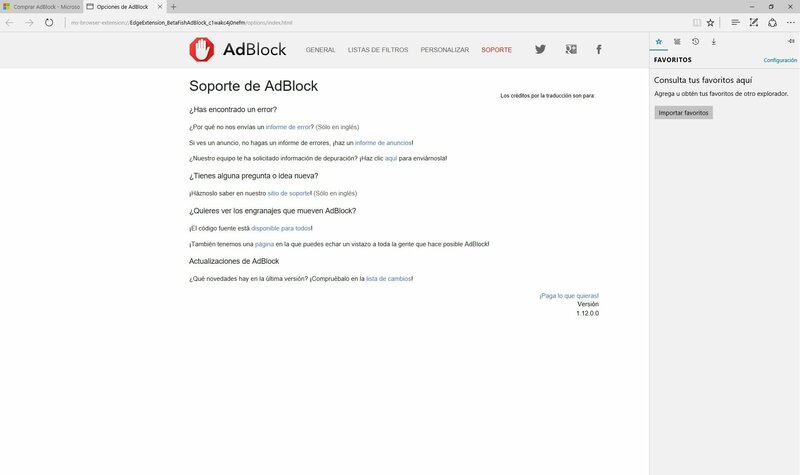 Well, this AdBlock for Edge is the version of Adblock for Microsoft Edge, the latest browser released for Windows users and the replacement of the old Internet Explorer. It greatly improves the latter and if you decide to try out, this complement is the perfect companion. 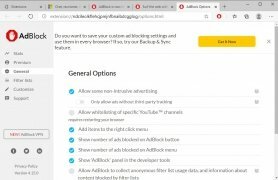 Block adverts on YouTube, Facebook, and any other web. 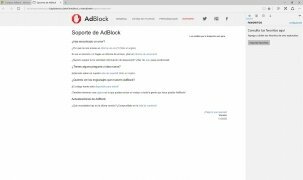 Create whitelists to allow the adverts you're interested in. 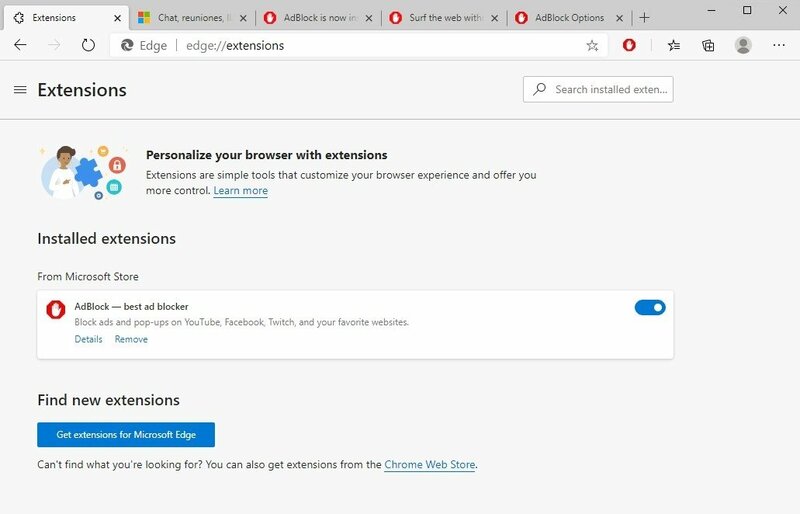 Available also for other browsers. 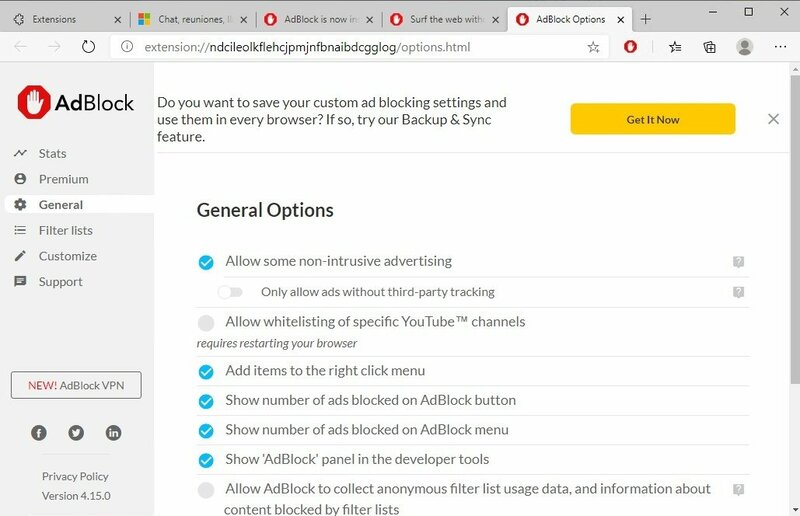 Different lists of configurable filters. 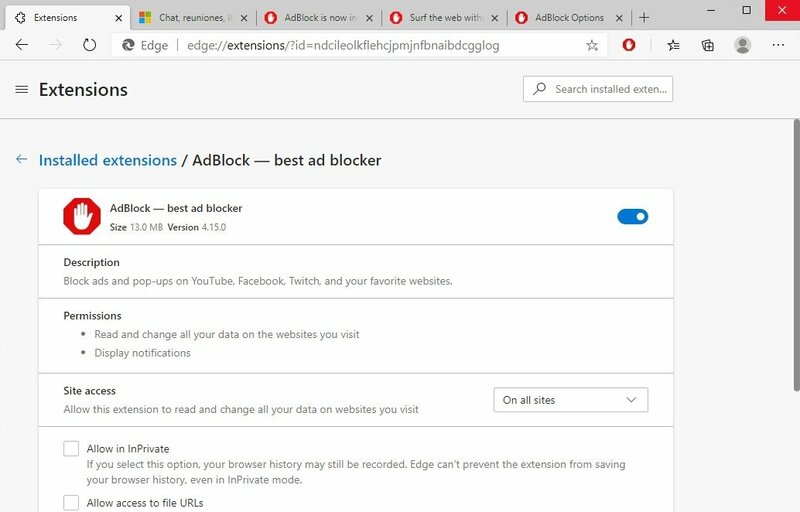 If you're fed up of intrusive adverts that many of your favorite pages display, get hold of Adblock Edge right now. 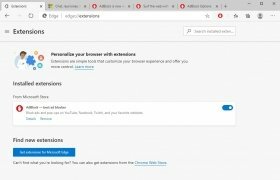 We're all entitled to enjoy an advert-free Internet, and in view of the continuous abuse suffered by users due to careless developers, the use of this kind of tool is more than justified.